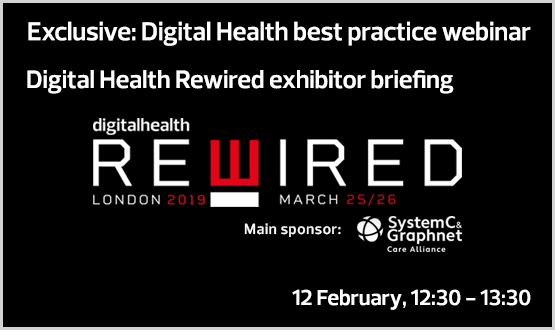 Digital Health Rewired is the brand new leadership summit, conference and exhibition that will connect today’s health IT leaders with the latest digital health innovations, 25-26 March. 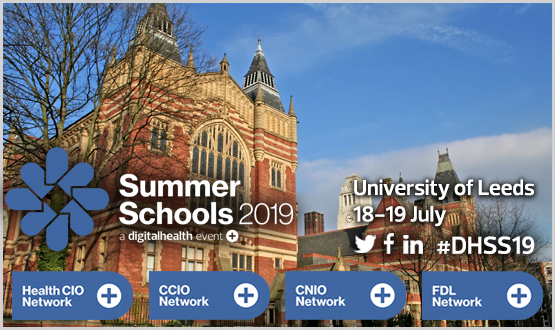 We have a stellar programme, with keynotes including Matt Hancock, Doug Gurr, Dr Ben Goldacre, Ali Parsa, Dr Simon Eccles and Will Smart, and are seeing extremely high-quality delegate registrations. This webinar is exclusively for sponsors, exhibitors and speakers to update them on latest developments on the Summit, Exhibition and Conference and Hack Day, plus new additions to the event including the Rewired Pitchfest. Keep up with the conversation via email.Get notified of new comments on this post. If discussion generates more than a few emails daily your subscription will be paused automatically. Webinar: Are patient webinars the way forward for NHS #Futurehealth? Webinar: Digitally driven workflows and patient journeys – how can we get from ‘good’ to ‘great’? Webinar: Blueprints for the future: how will the knowledge of GDEs be shared?